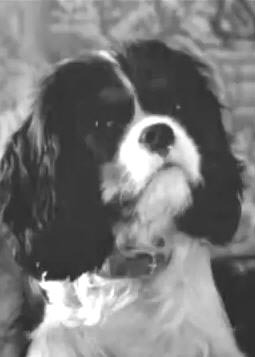 Tori the tri coloured cavalier king charles spaniel who played Queen’s Victoria muched loved Dash in the Young Victoria was bred by Hilary Bartlett. While Tori and Hilary were out walking Tori was spotted by Gill Raddings of ‘Action Stunt Dogs & Animals’. Gill was on a film location at the time and immediately fell for Tori. After some very lengthy discussions and deliberation Hilary sadly decided to sell Tori to Gill. In between Tori filming Martin Scorsese and Sarah Ferguson’s The Young Victoria; Gill said that Tori was enjoying herself running through the hedges and even swam across a lake in pursuit of some ducks. Gill has also trained her in agility, a sport that Tori loves . Queen Victoria spent a very lonely childhood and she describes herself in her diary as being “rather melancholy”. 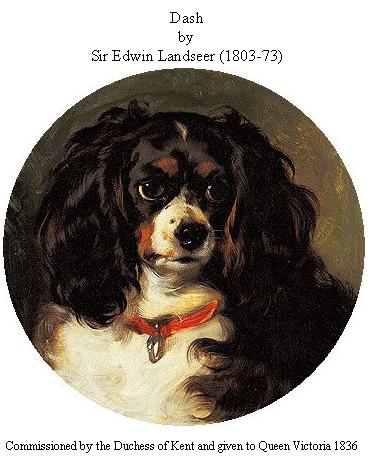 Her only and constant companion was a tri-colored cavalier spaniel she named “Dash” which was a gift from her mother’s financial advisor and lover Sir John Conroy whom Victoria despised. Conroy hoped that he could improve his relationship with Victoria; his scheme didn’t work and Victoria banished him from court life as soon as she became queen. Right after Victoria’s coronation(1837) she ran home and gave Dash a bath. Dash and Victoria were inseperable spending “his little life” in her room. Victoria would dress him in scarlet jacket and blue trousers, and at Christmas she gave him three India-rubber balls and two bits of gingerbread decorated with holly and candles. Victoria had him painted half a dozen times at least, sometimes with the other dogs. “Here lies Dash, the favorite spaniel of Her Majesty Queen Victoria, by whose command this memorial was erected. He died on the 20th December 1840 in his ninth year. His attachment was without selfishness, his playfulness without malice, his fidelity without deceit. Reader, if you would live beloved and die regretted, profit by the example. See: Queen Victoria: Britain’s Longest Reigning Monarch (1819 – 1901) and Dog Fancier- rare video footage of Queen Victoria, paintings and photographs of many of Queen Victoria’s muched loved dogs. 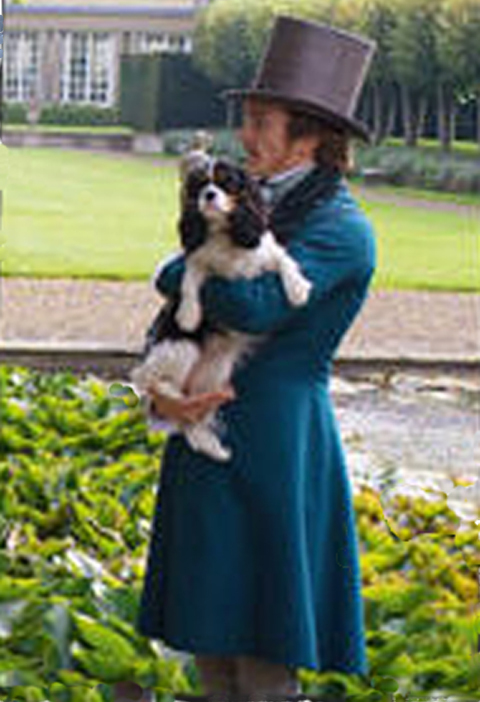 Tori (“Dash”) made “The Young Victoria” an extra special movie for me, being the loving owner of two Tri-colour Cavalier King Charles Spaniels, Stackhouse (Stackie) and Sookie, 3 and 2 year old. 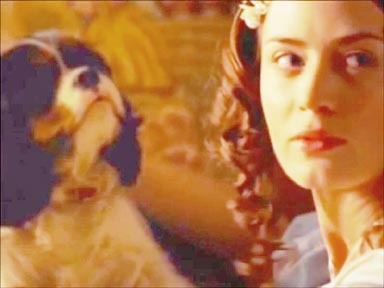 My two tri-colours, Madeline & Trudy, watched “The Young Victoria” and barked every time Tori was in a scene.